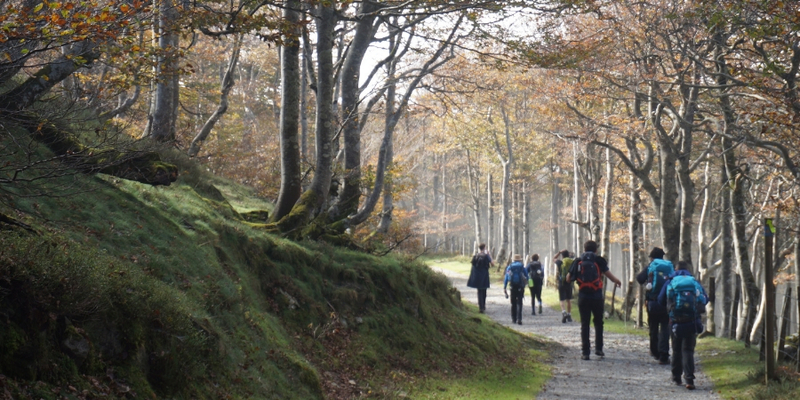 Walking the Camino can sometimes be challenging depending on the trail, the kilometres traveled and fitness, of course. For the inexperienced walker, if you are not well prepared you might not enjoy your Camino as much as you should. 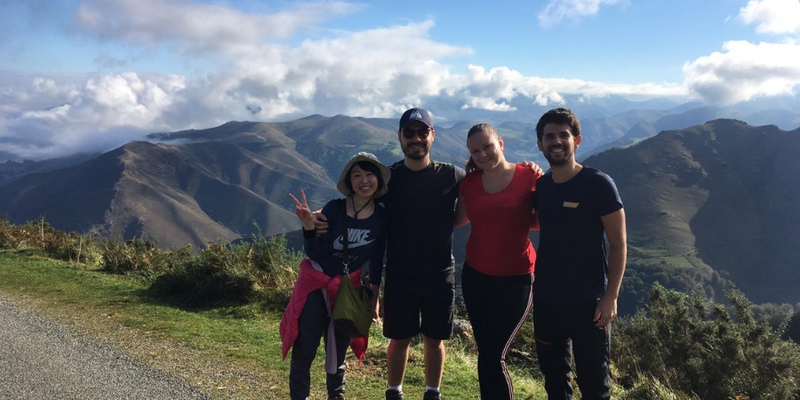 When I walked the French Way in the Pyrenees (from Saint jean Pied de Port to Pamplona) with my fellow walkers, I hadn’t trained at all and therefore some moments were challenging for me but I am glad that I did it. Here are some tips that I found useful during my Camino and that you can follow if you are not an experienced walker but still would like to walk the Camino. 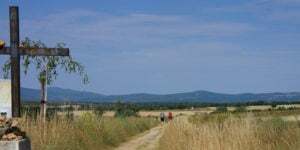 There are a lot of Camino routes and they are all different: coastal, inland, mountainous, … Your first Camino should be chosen depending on what you like in order to enjoy it. 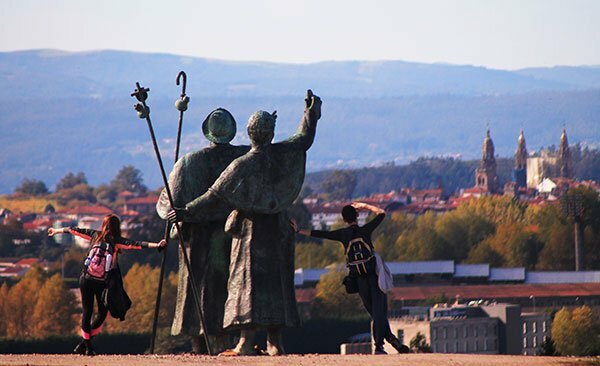 Don’t choose your Camino because someone told you to do this one or because it is the most popular. Everyone has different taste and to help you to decide, take into account the season, the number of pilgrims, but especially the distance that you want to cover every day. When I knew that I was going to go to the Pyrenees I was pretty excited as I always wanted to go there as this is one of the most stunning views, but I was a little bit worried as this section is one of the hardest parts. However, this didn’t stop me and I took on the challenge. If you decide to go with a group of friends or family, do not try to follow them and walk at the same speed of them. Take your time to find your own path. Look around you and don’t hesitate to stop to admire the nature or take some photos. Finding your own speed is important as you will enjoy walking more. 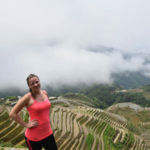 On my Camino journey, especially during the first day in the Pyrenees, I wasn’t prepared at all and along the way I established some goals to myself. For example, “Ok, you go up to this turn and then you stop for a few seconds to take your breath and have some water or snack”. As I also love photography, I took the opportunity to stop and take some photos and videos in order to rest (don’t say it to my fellow companions). One important thing when walking with a group, make sure to go with people who will support you along the route and give you motivation. My team was always waiting for me in specific spots and shouting me some nice sentences as “you can do it”, “the worst is behind you”. 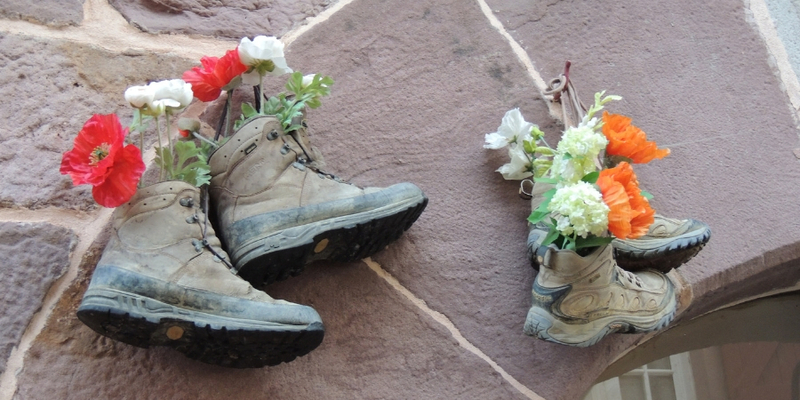 To walk the Camino you will need clothes and shoes that you feel comfortable in. For the clothes take something large items that you can easily move in. For me the best option was some stretch leggings, a shirt, some long sleeved tops in the morning and a rain jacket just in case. For the shoes don’t take a new pair of shoes, be sure to break them in. Don’t use hiking shoes which might be too heavy but find a nice pair of walking shoes which are waterproof and light. Depending on the trail you can also use some running shoes, but don’t hesitate to take 2 pairs of shoes just in case. A Month before the Camino, I went to buy a pair of walking shoes that I broke in on my walk to the office in the mornings and walking around the city center during the weekend. I also brought my runners with me. These were great for walking around the town in the late afternoons. Don’t forget to take comfortable clothes for the evenings and especially a pair of flip flop or sandals where your feet will be able to rest and get some air after your walking day. I had a tracksuit and flip flops and it felt like home. The team have put together a free packing guide here with everything you need to bring with you. Try to leave as early as possible as then you will have the full day to walk and won’t be rushing. During our Camino, we wanted to arrive in the next town early in order to enjoy the place, but also as I was slower walker, we decided to leave early. We left each morning straight after breakfast (between 7am and 8am in October), which meant that some mornings, it was still dark when we set off on our walk. It was a different atmosphere; the route was quiet and we enjoyed the sunrise on our way. I would recommend taking a torch with you if you are travelling outside of the summer months. 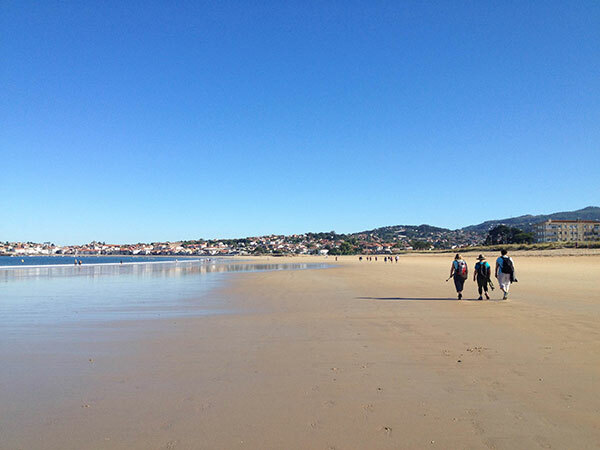 Walking the Camino is a unique experience and therefore everyone feels differently about it and walks it in their own way. If you are not an experienced walker, walking 20-25 km can be really challenging and might be too much for you. However there is a split option on most routes. Some of the longer walking days can be split into 2 days. With the split option you will only be walking approximately 10km per day. 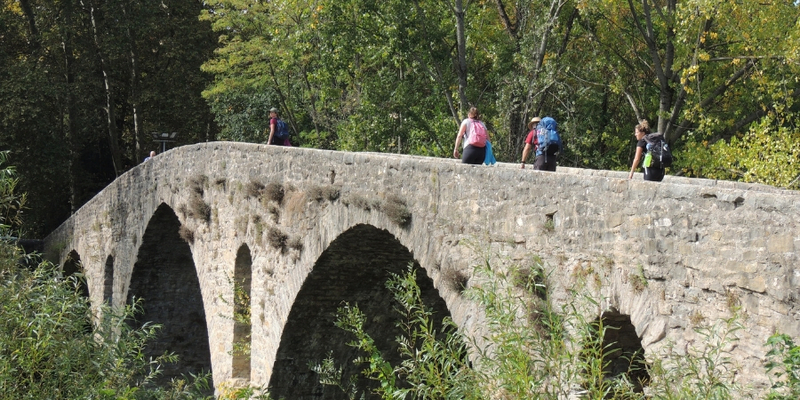 If you are walking a challenging section like the Camino Frances in the Pyrenees for example, your first walking day will be difficult if you are inexperienced as you will be walking about 25km with an ascent of 20km. Therefore, you can always stay 2 nights in the same town (here St Jean Pied de Port) and take a transfer to and from the trail. For my part I would have loved to stop in la Croix Orisson and finish the rest the following day as the first day was starting to be long for me and my legs wanted a rest. Walking everyday when you are not experienced can be difficult, therefore, don’t hesitate to add an extra night in the main town in order to rest and to visit the sites. I love exploring and would like to spend an extra night in Saint Jean Pied de port and in Pamplona the next time to get to know the towns. If you are an inexperienced walker, it is a good idea to do some stretches in the morning before you start out and the evening to loosen the muscles. Stretch your body before and after your walk, but also don’t hesitate to stop while walking if you start feeling any pain. After some useful stretches your body will be ready to walk the next few kilometres. On the last walking day it was like my body wasn’t mine anymore and every time I stopped to stretch it was like I was regenerating and only starting my day. When you will arrive in your accommodation, don’t hesitate to take some extra time for yourself. Take a long hot shower or bath and massage your muscles at the same time; the hot water will help you to relax. Use some moisturiser on your face and body as they might be dry with your walking day, your body will feel re-energized. Finally, before going to bed put some pain relief / analgesic cream (tiger balm for example is good as it is made with herbals ingredients), this will soothe the aches and sore muscles. The first walking day might be the most challenging if you are an inexperienced walker as you will use muscles that you usually don’t. The following days you may feel a little tired but with motivation you will keep walking. Don’t hesitate to stop and reward yourself with an orange juice, a coffee, a beer or whatever you like when you take a break. You deserve it! For me the most rewarding time was when we arrived in Roncesvalles after the long walking day through the Pyrenees and I was able just to sit down in the table with my friends and a drink and being able to say “I did it”. If you feel that you cannot keep walking, don’t hesitate to stop, take your breath and look around. The most important point is to keep motivated. Don’t hesitate to motivate yourself with and tell yourself often that you can do it. If you trust yourself you will be able to go as far as you want. My motivation on this trip was the challenge of the route. Keep in mind that everything is possible if you believe in yourself. 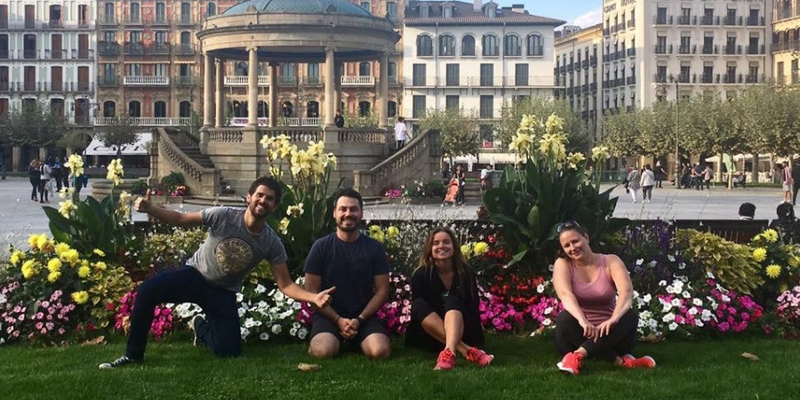 Thank you to Sophie for her positive advice and giving us some great insights into her experience on the Camino Frances. If you have any extra tips to add please tell us. For more information about this section of the Camino Frances or any of the Camino routes please contact one of our travel team. Thank you so much for your comments. 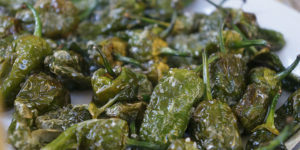 I start my Camino early May and was a bit worried about the first day and the climb over the Pyrenees. Feeling a bit more reassured Ill be able to do it. Sophie is from the North of France. She has a master's degree in Marketing and Communication in Hospitality, Tourism and Travel Industry. She traveled and lived in different countries around the world such as France, USA (NYC and Orlando), Australia and Hong Kong. She is passionate about photography, traveling and loves discovering new cultures, languages, and local cuisine.